A large mirror at the end of the bath tub is designed to look like the window, using the same simple trims and color as the window. At first, you’ll think that you’re looking at a window because it shows the beautiful greenery outside but the mirror is just reflecting the adjacent window. 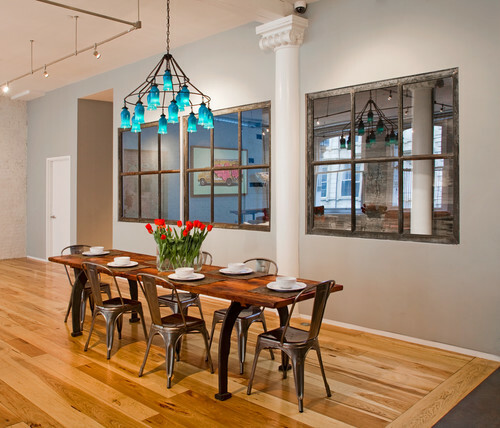 Three big mirrors serve as a decorative and functional accessory in this dining room. They make the area look expansive and they reflect different views such as the artworks hanging on a wall and the lovely turquoise chandelier. 1. 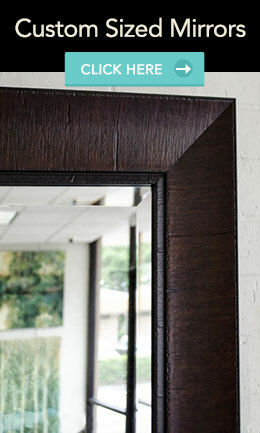 Get a rectangular mirror that has a frame. Purchase one that has similar size and shape of a window. 2. Measure the height and width of the mirror. Think about the number of panes you want and divide the height of the mirror to this number. This will give you how tall a pane should be in the mirror. 3. Using a saw, cut thin strips of wood that are equal to the length of the glass. Cut smaller strips that are the size of the width of the panes. 4. Paint the wood strips to match the color of the frame. 5. As you are waiting for the paint to dry, put painter’s tape on the mirror’s frame to mark where the strips will be placed. Use a tape measure to make sure that you get perfect squares or rectangles for the panes. 6. When the wood strips are dry, put some construction glue at the back of the strip. Glue the longer strips first before the short ones. Wait to dry. 7. Hang the mirror near a window or where it can reflect any nice outdoor view.